The area bounded in blue on the map shows the area covered by flood alerts and warnings for Northern Embankment. Properties in the Chester area including Chester retail park, Greyhound retail park, Chester Way employment park, Sealand Industrial Estate, Sewage Works, properties off Sealand Road and New Crane Street to Watergate Square and Roodee Racecourse. 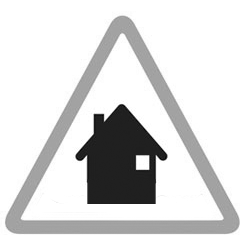 Areas affected include properties In Lache including Green Lane, Courtney Road, Avonlea Close, and Elder Drive. Areas in Saltney along Boundary Lane, Thurston Road, and Stanley Park Drive. Also Chester Golf Club, Junction and Lache Eyes. State of the stats: River levels most recently updated at 11:15am, Wednesday 24th April, current data reliability 99.5%.